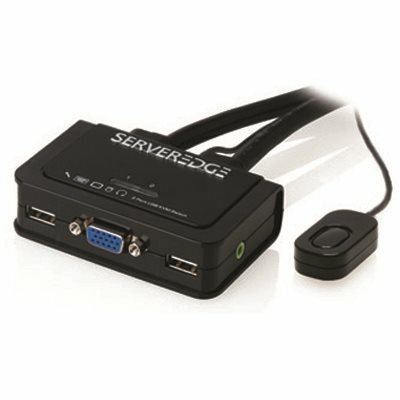 * The Serveredge KP02UVA is a 2port USB Cable KVM Switch with 2 x fixed KVM cables and 1 x QuickSwitch button for wired remote control. * It also provides Audio and Microphone switching function for uninterrupted multimedia experience. * It allows you to access control boot and reboot multiple multimedia computers using only one USB keyboard mouse monitor and a speaker set and microphone.